Fallout 76 got a full reveal during Bethesda’s E3 2018 conference, and it’s making some dramatic shifts from franchise formula. It’s a multiplayer-focused open-world game with survival elements that is said to be four times larger than any previous Fallout. Since it’s shifting to cooperative and PvP online multiplayer, it’s going to have a beta test period. No word was given as to when that beta launches, but it’s definitely coming this year since Fallout 76 is set to release on November 14, 2018 for PlayStation 4, Xbox One, and PC. Along with a date and beta confirmation, we also got a series of videos, including those showcasing the first gameplay footage. Despite the shift to an online multiplayer game, it does still very much look like Fallout. One way you’ll be able to get into the beta is by pre-ordering. 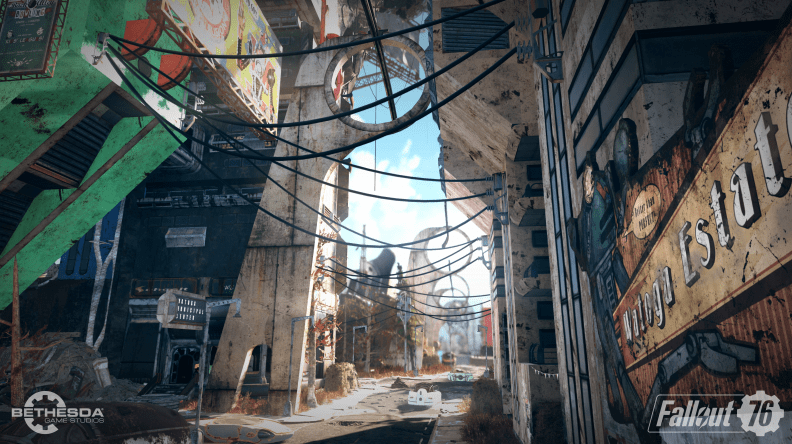 Base-building returns from Fallout 4, although the exact ways in which it has been changed are not yet clear. We do know that players can work toward securing nuclear weapons they can then unleash on the map, which features six distinct regions. The exact purpose for doing so is, as with many details, not clear at the moment, though it seems like one rather effective way of dealing with pesky enemies. Check out all the news to come out of Bethesda’s E3 press conference with our roundup.